I know that 1969 Chevrolet Camaro ZL1 is your dream car, but whoever brought it here put their heart & soul into preparing their baby for this day. Don’t ruin hours (or days) of work by getting greasy fingerprints all over it. Respect your fellow enthusiasts and their efforts. Touching someone’s ride is never wise, but getting ketchup on their hood could land you with more than just a warning. Everyone’s gotta eat, but maintain a level of awareness. Keep the messy hotdog away from someone’s pride & joy. This goes without saying, but if you shouldn’t touch or store your food on someone’s car you definitely shouldn’t lean on it. It doesn’t matter how awesome you look leaning on someone’s GT K-Code Fastback, buttons scratch & you don’t want to be nearby when the owner finds out! 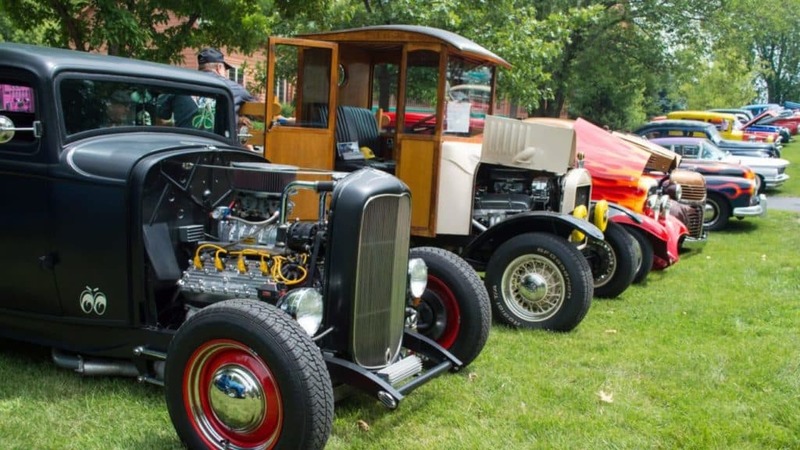 Car show judges are invited guests who take enthusiast to the next level. They’re the experts and deserve your respect. The organizers trust them to judge fairly, and you should too. Don’t get mad, accept their advice and move on. Even if you don’t agree with their point of view, everyone is different. A loss today is a win tomorrow, so persevere! Arriving on time makes it easier for the organizers & volunteers and it ups your chances of getting a solid spot. Be sure to prepare to leave bright and early and save the detailing for the day before! Arriving late and complaining about your spot is an argument you’re destined to lose. Just don’t. As much as we hate to admit it, each car show can only hold so many vehicles. Be respectful and only take up as much space as you need. It makes the judges lives easier and lets your fellow enthusiasts able to get a better view. Gotta pick up your kids from soccer practice? Let someone know. Trying to drive through a giant crowd of people may be difficult. Not to mention the risk of injuring an innocent bystander. Let someone know that you have to leave early so they can park you close to the gate. It’s not going to be the best spot, but it’ll make your life a lot easier. Show some appreciation to the people who sacrificed their day to direct traffic for the event. You may not like where they put you, but it’s not their choice. They’re just passionate people working as volunteers or for very little compensation. They follow the instructs handed to them, so any qualms should be taken up (respectfully!) with whoever is organizing the event. All that horsepower in one place is bound to embolden a few people into a little competition. Be mindful of local, state, and city ordinances. The police are well aware of the show’s existence and are prepared for it. Often times to help direct traffic and appreciate the nostalgic muscle cars. However, if you cross a line you will leave with a pretty hefty fine. That’s sure to hurt your bank account. Everyone has to start somewhere. Try to remember your naive days and show some patience for the people. By being nice and answering their questions you could be pivotal in creating a new enthusiast! That’s what car shows are all about: bolstering others with information to create a culture of passionate people. Be respectful of the venue. Don’t toss your napkin on the floor, find a garbage can. It’ll make cleanup easier and ensure that your crowd is invited back again next year! Having messy patrons as the reason your favorite car show is cancelled would be a huge bummer. Remember to always show respect for your peers. Regardless of experience level, everyone there has one unifying factor: a love for cars. Keep your negative feedback to yourself and help others with their questions. A little kindness goes a long way and helps to make each car show better than the last.